March is National Nutrition Month. One of the slogans this year is “Eat Right. Live Right. Feel Right.” and it celebrates the benefits of eating well. With all the mixed nutrition messages out there, however, it can be very confusing to know just what eating RIGHT is! To inform our choices of what is right for our nutrition, it’s good to go back to the basics and learn more about “macros” or macronutrients. The three macronutrients that make up our diet are carbohydrate, protein and fat. I would like to share the importance of each nutrient, the recommended ranges for each nutrient, as well as my favorite sources of foods from each macronutrient group. The recommended range for carbohydrate is 45-65%. Based on a standard 2000 calorie diet that breaks down to 225-325 grams per day. Carbohydrates provide us with energy, like putting gas in your tank! When I think of carbohydrates I think of sports nutrition and athletic performance. The #1 rule of sports nutrition is to eat a combination of carbohydrate: protein (4:1 ratio) within 30-60 minutes post workout. After 60 minutes the amount of glycogen you can store in your muscles is decreased by as much as 50%. This rule is most important for athletes who work out daily or especially for those working out twice per day! The best sources of carbohydrate are usually also high in fiber! Fiber helps us feel full, lose weight, control blood sugar, and promotes regularity which can decrease the risk of colon cancer. My favorite carbohydrates are oats, all types of fruit, squash, quinoa, Ezekiel bread, sweet potatoes and beans. Protein is not only found in muscles, but also in bone, skin, hair, nails and almost every other part of your body. Getting enough protein in your diet can aid in weight loss by helping you feel full and satisfied. Protein after workouts can help repair muscle damage in order to grow and rebuild the muscles to make them even stronger. The recommended range for protein is 10-35% which is quite a large range. I tell athletes to aim for 1.2-1.4 grams per kilogram of bodyweight. A 175# (80kg) athlete should aim for 95-110 grams of protein each day. It is also important to remember to spread protein consumption throughout the day to maximize absorption. The body can only absorb approximately 30 grams per meal. The most common proteins you would see on my plate are fish, poultry, eggs, yogurt and beans. Try to limit red meat and cheese due to the higher saturated fat content. Try to avoid bacon, cold cuts and other processed and fried meats. Fats are important to provide energy and warmth as well as to support cell growth and the production of hormones. Fats also help us absorb other nutrients, especially Vitamins A, D, E and K- which are the fat soluble vitamins. Without having a little fat at each meal it is impossible to gain the full benefits of the nutrients in your salad! The recommended range for fats in the diet is 20-35% which is approximately 44-77 grams of fat per day for somebody who follows a 2000 calorie diet. When choosing fats I look for foods high in Omega 3 fatty acids. Foods high in Omega 3 help decrease inflammation in the body and in the blood vessels. My favorite sources of fat are avocado, olive oils, chia seeds, flax seeds, sunflower seeds, nuts and last, but not least…nut butter! All three “macros” are equally important in keeping the body healthy. Try to get all three macronutrients at each meal, if possible, in order to fully absorb the nutrients and to keep you satisfied. By keeping a healthy balance and choosing good food sources you will be much closer to achieving a diet that has you feeling and performing well - one that is RIGHT for YOU. 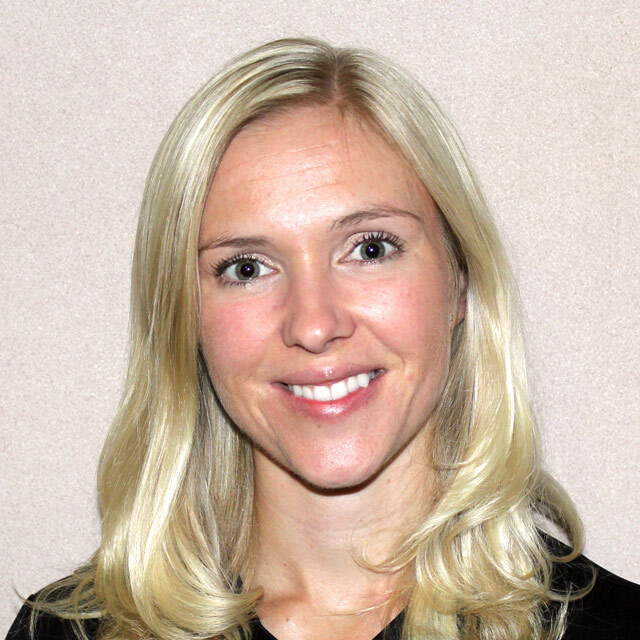 Branda Anderson RD, LD, ACE Certified Personal Trainer has a dual degree in Food, Nutrition and Dietetics as well as Exercise Science. She enjoys spending time with her husband Justin and her two sons, Jaden and Miles. Branda keeps active by running, playing softball, golfing, lifting weights and doing yoga. Her exercise philosophy is: "Commit to your exercise program by treating each workout as an unbreakable appointment." Contact Branda Anderson at (507) 287-9335 ext. 344.